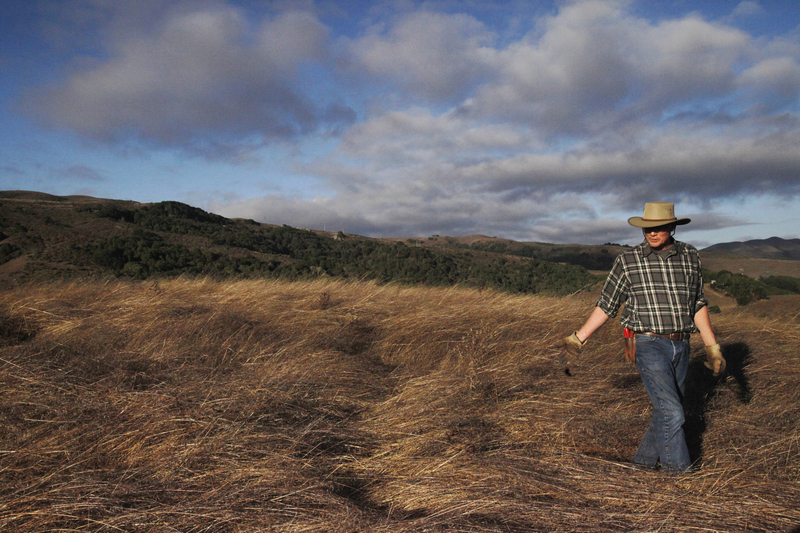 John Wick walks through invasive weeds before covering the area with compost on Wick\'s ranch, Nicasio Native Grass Ranch, Oct. 18, 2014 in Nicasio, Calif. Wick says that he and local scientists may have discovered a system that could change the world in regards to our emissions problem. According to Wick, if California could compost its current available organic material, it would cover 5% of California\'s range land. And that amount alone would offset the emissions of the entire California agricultural industry.